Neville Crump won his first Grand National in 1948 when Cottage the Mare became the first of its kind to win the race since 1902. Crump proved to be victorious again in 1952 when the Teal won the race after it restarted. The race had to be restarted ten minutes later because the field breached the starting tape prompting a false start. Neville’s final victory at the Grand national came when the crowd favorite Merryman II won the race in 1960. 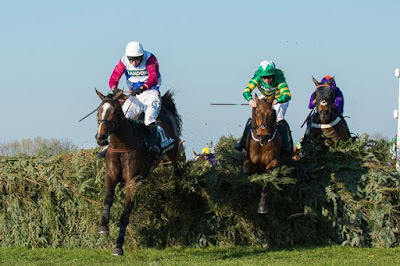 This was the first televised Grand national. Tim Forster's first victory came with the racehorse Well To Do in 1972. Tim was a pessimist throughout his career and didn’t believe he would win again. Before the race of 1980 Grand National, the amateur jockey asked Tim for advice to which he replied: "Keep remounting." Despite Tim's lack of faith in Ben Nevis, the horse went on to win the Grand national bagging Tim another win. His third and final victory almost didn’t occur when Tim wanted to pull off Last suspect from the 1985 Grand National. It was due Jockey Hywel Davies that Last Suspect participated in the race and later won it. Vincent O’Brien made history in the fifties when he became achieved the extraordinary feat of training the winners of three successive Grand National, with three different horses. His first victory was in 1953 with the horse Early mist. This victory was followed by another victory in 1954 when Royal Tan won. O’Brien completed his hat-trick in 1955 when his horse Pat Taafe won the Grand National. Ginger Mccain made history with his horse Red Rum when he completed a historic treble of winning. McCain won three Grand nationals with Red Rum; the first in 1973, the next in 1974, and the last in 1977. McCain once again proved that his victories are not dependant on any special horse when he won the 2004 Grand National with Amberleigh House. Fred Rimell was arguably the most successful trainer at the Grand National not because he has 4 wins but because of the fact that all of his wins came for different horses. Rimell first won in 1956, when his horse ESB snatched the victory from other competitors. He won again after five years in 1961 with Nicolaus silver who became the second gray in history to win the National. Rimell bagged the National again in 1970 thanks to the horse Gay trip. His final victory is perhaps the most memorable because his horse Rag Trade defeated Red Rum and won the National in 1976.